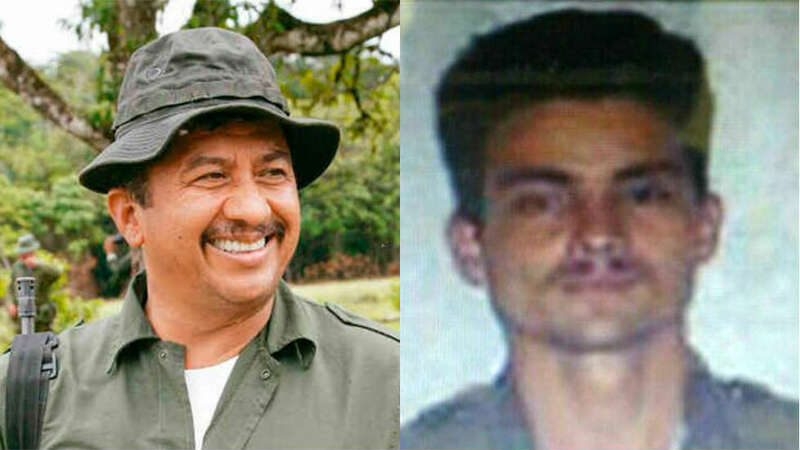 "Gentil Duarte" and "Ivan Mordizco." Colombia’s chief prosecution believes FARC dissidents have formed 16 independent factions with a total of 500 of the demobilized guerrilla group’s 14,500 reported members. The prosecution made the numbers public after the United Nations criticized the Colombian government’s compliance to a peace deal with what used to be the country’s largest rebel group. After more than half a century of violent conflict, the group was allowed into politics with guerrillas set to be called before a transitional tribunal to answer for war crimes. The prosecutor general’s report on failures in the demobilization process showed that some 48 of Colombia’s southern municipalities continue to affected by rogue guerrillas, often involved in the local cocaine trade. According to local media, many more guerrillas have left transitional camps, often to go home. The FARC used to be active in almost a third of Colombia’s 1,100 municipalities. The municipalities where dissident groups are active are Meta, Caqueta, Cauca, Guaviare, Nariño and Amazonas. The military said Sunday that another group of former FARC members had formed a dissident group in Putumayo, on the border with Ecuador. Some 205 men under their command would be trying to maintain control over coca-rich areas and strategic drug trafficking corridors to Brazil, Peru and Ecuador. This group was ousted by the FARC leadership almost immediately in December last year after they refused the order to demobilize with the rest of the rebels. The rogue guerrillas held a United Nations employee hostage for a few months earlier this year. Two different groups, one of 85 and one of 35 fighters, are reported to be active in the central Meta province. Another group of 35 could be active in the southern Caqueta province. The situation is particularly serious around Tumaco, Nariño where dissident FARC militias have formed more than 20 small groups in the port municipality. The largest of these, Gente del Orden, would have some 40 members. Locals denounced National Police officers earlier this month for massacring seven coca farmers. Homicides have gone up in 25 of the 48 municipalities where FARC dissidents are active. The municipalities were granted exceptional status to allow increased investment that is part of the peace process. The security forces have difficulty controlling the vast areas of the long-abandoned municipalities. Dissident groups of previous processes, like the AUC and the EPL pose additional challenges in other parts of the country. These groups are also deeply involved in criminal activities like drug trafficking and extortion. The largest-standing guerrilla group, the ELN, is upholding a bilateral ceasefire with the government. An increase in the cultivation of coca in Colombia over the past three years has fueled illegal income for groups acting outside the law.